I think I may have found my favorite oil painting of horses. 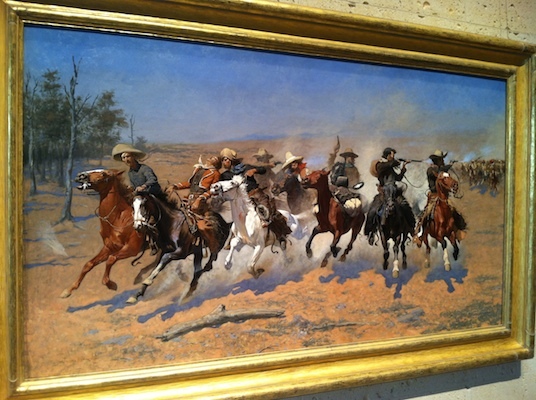 Painted by Frederic Remington it is titled ‘A Dash for the Timber’ and is on display at the Amon Carter Museum of American Art in Fort Worth Texas. 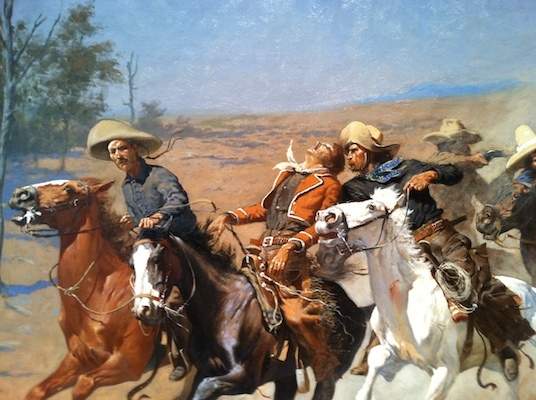 The was established by Amon G. Carter Sr. and features many paintings and sculpture by Frederic Remington and Charles M. Russell that Mr. Carter personally owned. Many other amazing works are also on display…too many to list. One of the best parts is; IT IS TOTALLY FREE! There is no admission fee and if you time it right you can even catch a free tour. Photos and reprints don’t do justice to the art work on display here. The museum doesn’t tell the value of many of the works but the few that they do mention are valued at 10-12 million dollars…and I have no doubt that those are NOT the most valuable pieces on display. To stand in front of an oil painting that is well over 100 years old with not even a piece of glass to separate you from the canvas is almost unsettling. To walk through the museum is also an interesting reminder of how much we have learned about horses over time. 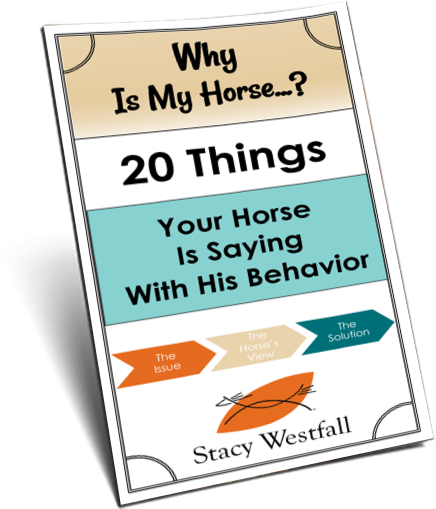 Many of the older paintings depict horses with front legs stretched forward and hind legs stretched back. In 1886 photos were taken that showed the true movement of horses changing how horses were painted from that time forward. 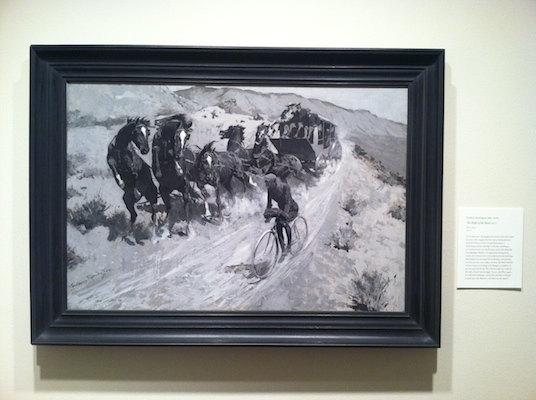 Remington loved painting horses and another of my favorites, shown below, is a black and white painting which I found unique. If you find yourself in Fort Worth…or if you schedule a trip, make sure you stop by the Amon Carter and check it out. yes, Remington knew horses. most painters even of the West, don’t really. and he really knew how to paint. I highly highly recommend you check out Will James–an incredible cowboy artist and writer–truly–an amazing pen and ink artist. 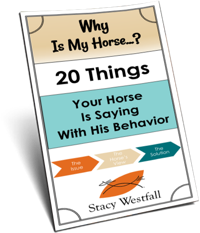 he really tells it and draws it how it is–having lived mostly alone herding and breaking horses up and down western united states back when that was a ‘regular profession’. ‘Lone Cowboy’ is his autobiography and in my view, one of the best pieces of writing as well as true history ever to exist in the United States. it’s a book you don’t ever want to end. you’ll probably have to get it used. I just typed in Will James to check him out on my kindle. “Death rides in on a white horse” “Cow-boy life in Texas” and “The planet of the blind” appeared. Is this his work? ok, I’ve started the “cow-boy'” one and you are so right.. He is extremely good at telling the story of back then, and his first poem is wonderful! And I don’t read poetry.. you might have just opened up a new interest in me.. Thanks! Is he the same Remington that did all of the western bronze sculptures?